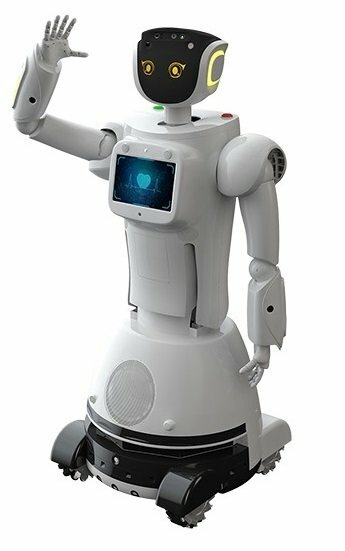 Meet the super co-worker: Sanbot Max is a jack of all trades robot, able to carry and tow objects, autonomously map a room, avoid objects and people, translate, answer guests’ questions, deliver items, attach 3rd-party accessories, and more. Based on multi 3D camera stitching high-speed vision SLAM technology, 3D SLAM autonomous map building, path planning, positioning, and navigation, achieving simultaneous positioning and map building. Sanbot Max has built in USB ports, HDMI, power outlets, switches. You can attach a printer, ATM, medical equipment, screens, 4G data card, hard drive, SIM card, 4G Internet, mobile data storage, and even more attachments. Sanbot Max′s top speed is 5m/s. The average adult walking speed is 1.5 m/s. Using 3D laser vision technology, multiple infrared and ultrasonic obstacle sensors, Sanbot Max can move about in any complex indoor environment with ease.